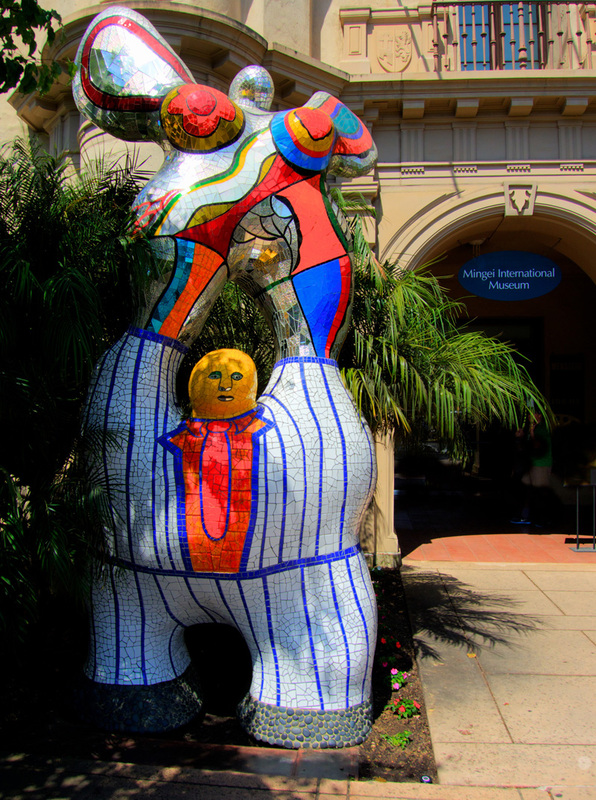 Guarding the entrance to the Mingei International Museum in Balboa Park is the giant figure of a poet and his muse. The muse appears precariously perched atop the rock solid poet; were she to fly off he would be in serious trouble. Niki de Saint Phalle was born in France and after a successful international career she moved to La Jolla, California. Her art adds vigor and a touch of whimsy to Balboa Park. Niki called her robust female figures Nanas. The oversized polyester sculptures first appeared in 1974 on the bank of the River Leine in Hannover, Germany. 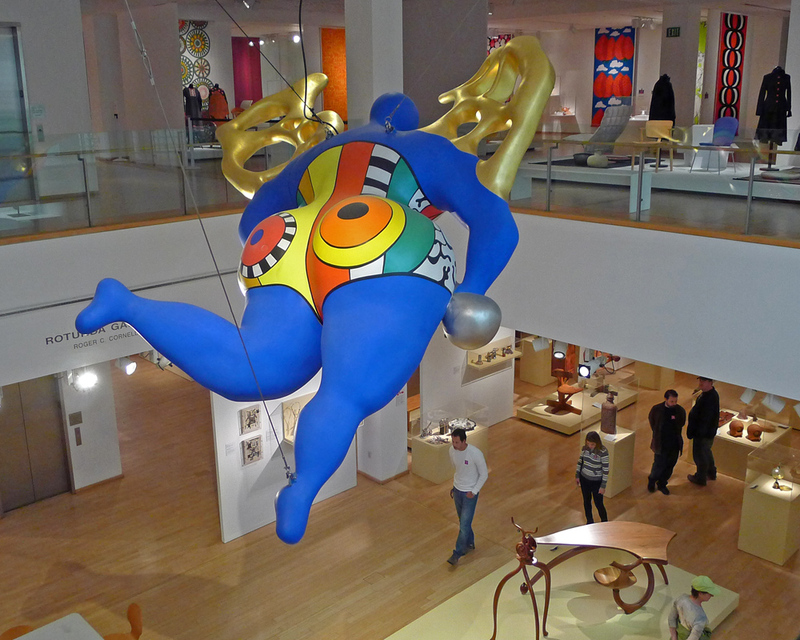 L’Ange Protecteur (Guardian Angel) hovering over an unsuspecting Iowa farm, Niki de St. Phalle, Mingei International Museum, San Diego. Niki’s Guardian Angel looks down on museum visitors. Are they aware of their protector who flies over their heads?